James-abra, Erin. "Jasper National Park". The Canadian Encyclopedia, 03 January 2019, Historica Canada. 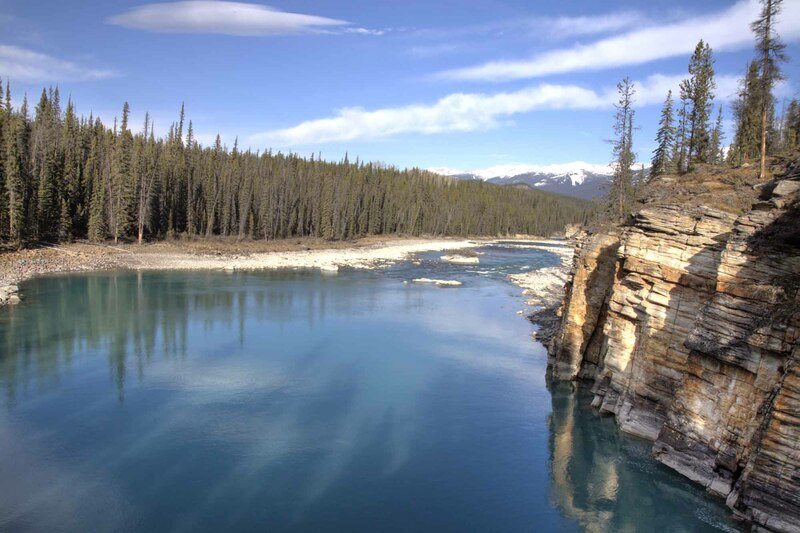 https://www.thecanadianencyclopedia.ca/en/article/jasper-national-park. Accessed 22 April 2019. Jasper National Park is a protected area located in the Rocky Mountains, about 370 km west of Edmonton, Alberta. Established in 1907, it was the fifth national park created in Canada. 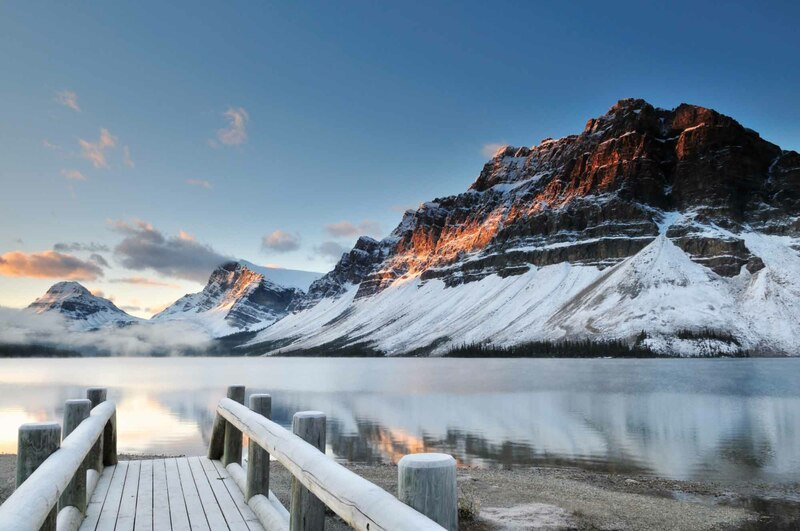 It’s also one of seven parks in the Rocky Mountains that make up the Canadian Rocky Mountain Parks UNESCO World Heritage site (the others are Yoho, Banff and Kootenay national parks, and Mount Robson, Mount Assiniboine and Hamber provincial parks). Among the reasons for the UNESCO designation are the parks’ mountain landscapes, complete with waterfalls, canyons and glaciers, including those found in the Columbia Icefield. Jasper National Park spans over 11,000 km2 of the Rocky Mountains in southwestern Alberta. It shares parts of its western border with Mount Robson and Hamber provincial parks, in British Columbia, and part of its southern border with Banff National Park, in Alberta. 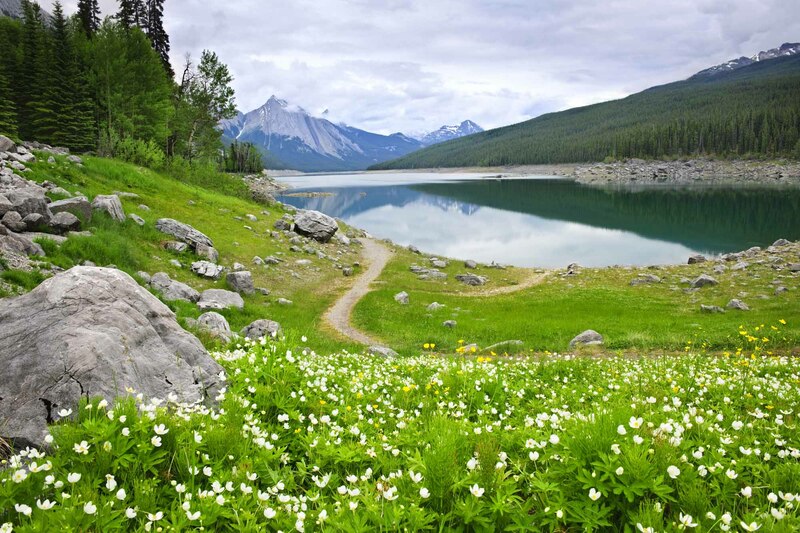 Directly north of Jasper National Park is Willmore Wilderness Park, also in Alberta. The town of Jasper is located within the park’s boundaries. During the Precambrian age, 1 billion years ago, the mountains that make up Jasper National Park did not exist. The entire Rocky Mountain System, stretching from the Gulf of Mexico to the Arctic Ocean, was flat. Gradually, this area began to sink below sea level and fill with sea water. Over millions of years sediments such as mud, silt and sand were deposited into this inland sea from nearby rivers. As more and more sediment was added, the bottom of the sea continued to sink, creating layers of sediment thousands of metres deep. About 75 million years ago, forces within the Earth pushed the sediment above sea level, compressing the rocks so that they folded, buckled and broke, forming the Rocky Mountain System. Erosion, from forces such as rain, running water and glaciers, continued to shape the mountains into their current formations. Jasper National Park can be divided into three vegetation zones: montane, subalpine and alpine. In the montane zone, which includes the valleys between the mountains, Douglas fir and lodgepole pine are numerous, and trembling aspen, balsam poplar, black cottonwood, white birch and white spruce	are also found. Engelmann spruce, lodgepole pine and subalpine fir make up the forests of the subalpine zone, which grow along the mountainsides. While there are no trees in the alpine zone, many wildflowers grow along the park’s mountaintops. These flowers include the purple saxifrage and purple-flowered beardtongue, the pink blooms of the moss campion, and the white and yellow blooms of the mountain avens. The park is also home to elk, moose, mule and white-tailed deer, woodland caribou, bighorn sheep and mountain goats. Carnivorous animals include coyotes, wolves, cougars, lynx, black bears and grizzly bears. Three hundred and five species of birds have been identified in Jasper National Park, including the golden eagle, the white-tailed ptarmigan	and the gray jay. There are 16 species and subspecies of fish native to the park, including the longnose sucker, burbot, spoonhead sculpin, mountain whitefish and bull trout. Jasper National Park is located on the traditional territory of a number of Indigenous peoples; there is evidence of human occupation dating as far back as 10,000 years ago in the Athabasca valley. Prior to the arrival of White settlers, several Athabaskan-speaking groups lived on what is now the eastern side of the park, namely the Sekani, Dane-zaa and Tsuut’ina	nations. The Secwepemc, an Interior Salish nation, lived on the western side. These groups were nomadic, making seasonal trips to the valleys between the mountains to hunt elk and other hoofed animals. By the mid-1600s, the Cree were established in the area, and by the late 1700s the Stoney-Nakoda. As Indigenous and non-Indigenous people began to inter-marry, a Métis population also grew in the region. Historians assert that Indigenous people were forcibly removed or barred from most national parks in Canada. 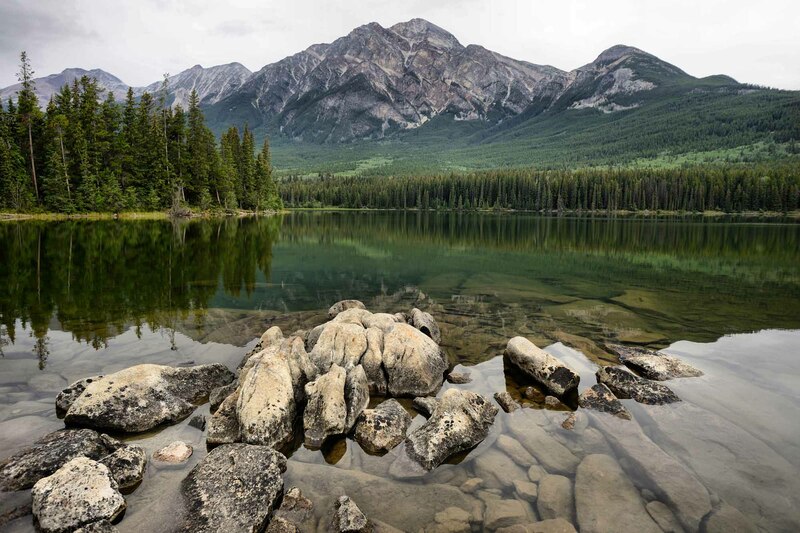 In the case of Jasper National Park, several Métis families were homesteading in the area as plans formed for the park’s creation. These families were considered by park administrators to be squatters, and the government worried they would hinder their efforts to create a pristine tourist destination. In addition, new park regulations prohibited the hunting and trapping the homesteaders relied on for food. In August and September of 1909, the Métis families were served eviction notices and given until March 1910 to leave. In 1810-11, explorer David Thompson became one of the earliest Europeans to discover a northern route through the Rocky Mountains	at Athabasca Pass, on the western side of Jasper National Park. 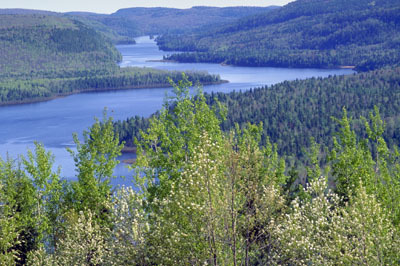 The pass became an important part of the North West Company’s fur trade route. In 1813, they built Jasper House (now a National Historic Site in Jasper National Park) as a place where fur traders could stock up on provisions before traversing the mountains through Athabasca Pass, or refuel if they had just completed the journey. In 1821, the Hudson’s Bay Company	took control of the North West Company and posts such as Jasper House. Jasper House closed in 1884. In 1872, Sandford Fleming surveyed the area of Jasper National Park looking for a way for the Canadian Pacific Railway	(CPR) to pass through the Rocky Mountains. While he deemed Yellowhead Pass (at the park’s western boundary) the best route, this idea was abandoned in 1881 in favour of Kicking Horse Pass (located to the south, in present day Yoho National Park). Because the CPR was built in the south, two companies, the Grand Trunk Pacific and the Canadian Northern	railways, successfully lobbied the government to build another, more northern railway. Both these companies chose Yellowhead Pass as their route through the Rocky Mountains. Surveying and construction began in the early 1900s. With two transcontinental railways about to pass through the Athabasca valley, the federal government decided to set aside land for a forest reserve. In 1907, they created the Jasper Forest Reserve, named for Jasper Hawse, a former operator of Jasper House. The reserve received national park status in 1930. During the First World War, the federal government interned 8,579 Canadians as prisoners of war	in camps across the country. Known as “enemy aliens,” they originated from the countries Canada was at war with, namely Germany, Austria-Hungary, Turkey and Bulgaria. Four of these camps were set up in national parks: Banff, Jasper, Mount Revelstoke and Yoho. 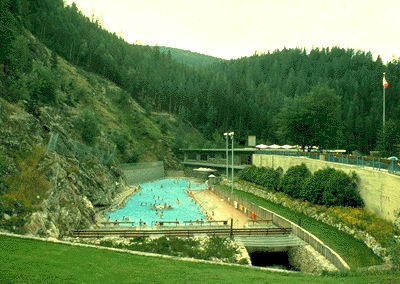 The Jasper camp opened in February 1916 and closed seven months later. During that time, the prisoners were primarily tasked with building a road to Maligne Lake. Athabasca Canyon flowing into Athabasca River, Jasper National Park. Visitors to Jasper National Park can hike, ski, snowshoe, bike, canoe or kayak, among other activities. They may also visit the Miette Hotsprings, or one of the park’s five National Historic Sites: Athabasca Pass, Jasper House, Maligne Lake Chalet and Guest House, Jasper Park Information Centre, and Yellowhead Pass.